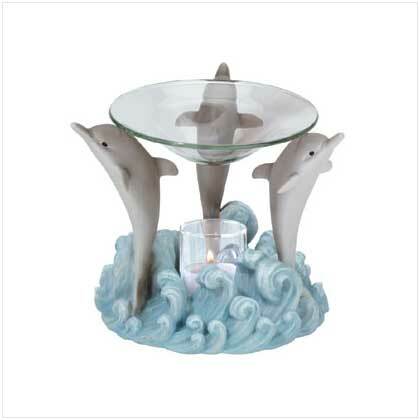 A trio of dolphins dance upon the crests of the waves that break upon the shore of this fanciful oil warmer. Alabastrite and glass. Tea lights only (not included). 5 3/4" diameter x 4 3/4" high. 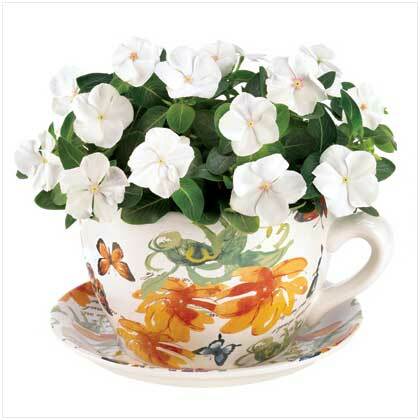 Retail Price: $14.95.